We are the premier luxury limousine rental company in the Los Angeles area. We're a company dedicated to providing only the best! We take our mission very seriosuly. And our goal is to bring the ultimate in luxury transportation to our clients, paired with great service. 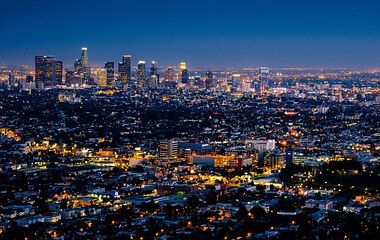 We want you to experience the LA we know and love in the most lavish way possible - in one of our beautiful limousines. Whether you've lived in SoCal for years, visit frequently, or are here for the first time, there's never a shortage of things to see and do or places to go. 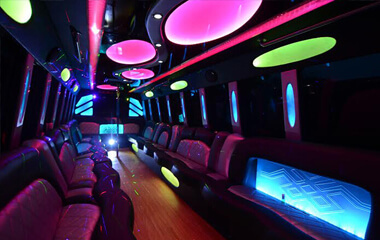 Imagine going to a new club for the first time and showing up in a beautiful limousine like a star. Or consider our luxury transportation as a way to see some of the most iconic destination in the area. Places like Universal Studios, Griffith Park and Observatory, Disneyland and Hollywood are all just a safe drive away for us and you. But the difference is that by riding with us you will be experiencing the ultimate in luxury and excitement. With us, you ARE a VIP! With our luxury limousine services, you not only get the most beautiful limos, you get the finest staff in the state of California! Our company is made up of a dedicated team that are committed to excellence all across the board. Our booking agents are friendly, knowledgeable, and always available to assist you. Our limousines and limo buses are maintained by a staff of master mechanics and the most intensive and complete vehicle detailers we could find. Your chauffeur, well, they are the stars of the show here. We've found the very best chauffeurs from all across America! 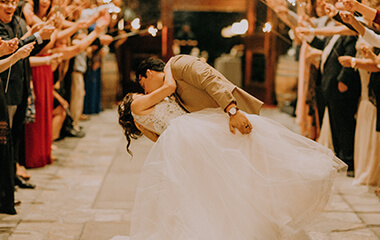 They understand, more than anyone, just how to catch every single little detail that can make all the difference in making your big event the best it can be. There is just no better choice for luxury transportation in or around Los Angeles. Our luxury services are available 24/7 all over California for any event and our rates are extremely competitive. If you are still unsure about anything, just call one of our office staff members for a consultation on your event at no charge. Our agents will talk to you for as long as you need and recommend ways that you can experience great savings as well. Our consultants know our vehicles and our services like the back of their hands. They will be able to make recommendations. This means that no matter when you're planning your event, where you want to go, or what the event is, you can count on us to provide amazing service at affordable rates. Your exciting adventure is only a call away. No stress when you're travelling in such luxury! No matter what you're doing in LA, we can assure you that our services are perfectly suited for your event. In fact, we have never met the event that our amazing luxury transportation cannot make even better. Our vehicles are versatile and luxurious, and our services are reliable and affordable, so whether you're looking for wedding transportation, bar hopping transportation, a ride to the game, prom shuttle, or anything in between, LA Limos is the perfect choice. Each event is unique and likely those attending will want different things out of their transportation. That's where our versatile vehicles come in. Set the mood with the colorful lighting or simply relax with a drink and enjoy a movie. Turn up the the music and dance, or pop the champagne and make a toast. The deluxe seating and beautiful interior designs are perfect for anything you might have in mind. If you are looking for some great multimedia, no worries, you will find multiple high definition flat screens with DVD capabilities. If this sounds like the makings of the time of your life, you are correct. You don't want to miss this. Our company provides amazing top-notch service all over LA and several surrounding counties. We have been in business for many years and will be around for the long haul. We have seen many companies providing inferior service during over the years. Weddings, birthdays, concerts, tailgating and more! Our services are perfect for any event. If you need transportation we are here to help. If you are unsure about your event or the logistics chances are we have done the same type of event hundreds or thousands of times and can help. Our limos are custom designed and beautiful! Travel in luxury and style with us. We have professional interiors with all of the amenities you could need and we keep them well maintained and up to date to prevent having run down vehicles like some other companies out there. Copyright © 2019 LA Limos | www.LALimos.com | All Rights Reserved.